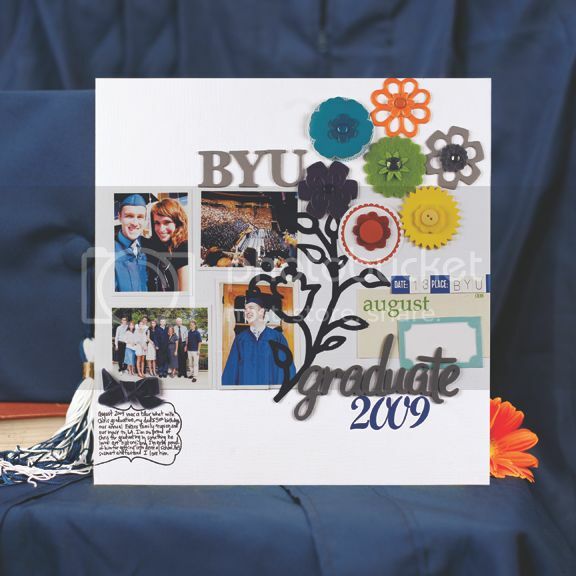 This is a layout I made for the Graduation section of Scrapbook Trends June 2010. Photography by Katie Butler and Kristy Clarke. Tip: Even if certain colors don't appear in your photos, make embellishments using bright and fun colors to draw your eye to and across the page! Man! Who is that guy in the layout? He is goooood lookin'!